Emily and Harry love going on trips with Wee Granny. 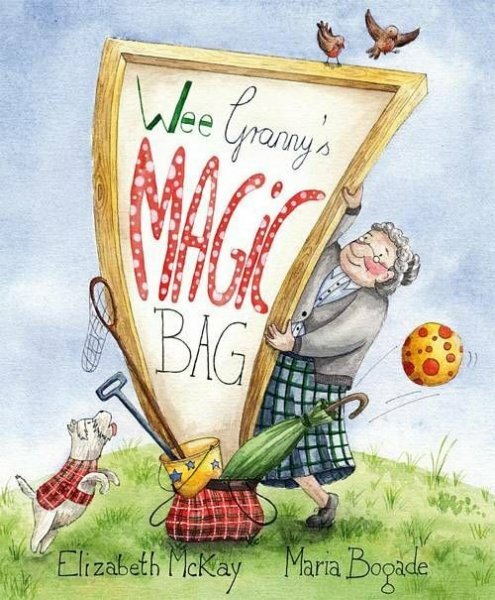 Surprising things always happen when she brings her tartan bag. One Christmas when they were carol singing Harry's torch stopped working, so Granny reached into her bag and pulled out a lamppost to help them see! Last summer they were on the beach and Wee Granny rummaged around in her tartan bag and pulled out a deckchair each for them to sit on!